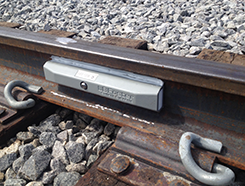 Nagory Foster provides Friction Management and Innovative Remote Monitoring products and services to the Heavy Haul and Passenger Rail Markets. We began operating in 2014 as a Joint Venture of the L.B. Foster Company of Pittsburgh (NASDAQ: FSTR) and Nagory Family of Kanpur, India. Nagory Foster was formed for the manufacturing and distribution of rail products, as well as provision of services to the passenger and freight rail markets in India, Bangladesh, Sri Lanka and Pakistan. L.B. 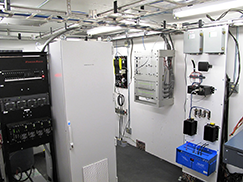 Foster's Rail Technologies business unit is the leading innovator and global leader in Friction Management and real-time failure mode detection for the global rail industry. 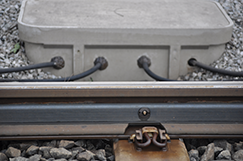 The Joint Venture combines the innovative rail technologies of L.B. Foster with the market-leading reputation for quality rail products and services established by the Nagory Family. Nagory Foster provides Wayside Friction Management products and services to manage the rail\wheel interface, Rail Stress Modules (RSM) that offer the most advanced remote monitoring and alarming for rail stress/rail temperature, and Wheel Impact Load Detectors (WILD) to detect and alarm on excessive wheel impacts on rail for the targeted removal of defective wheels.